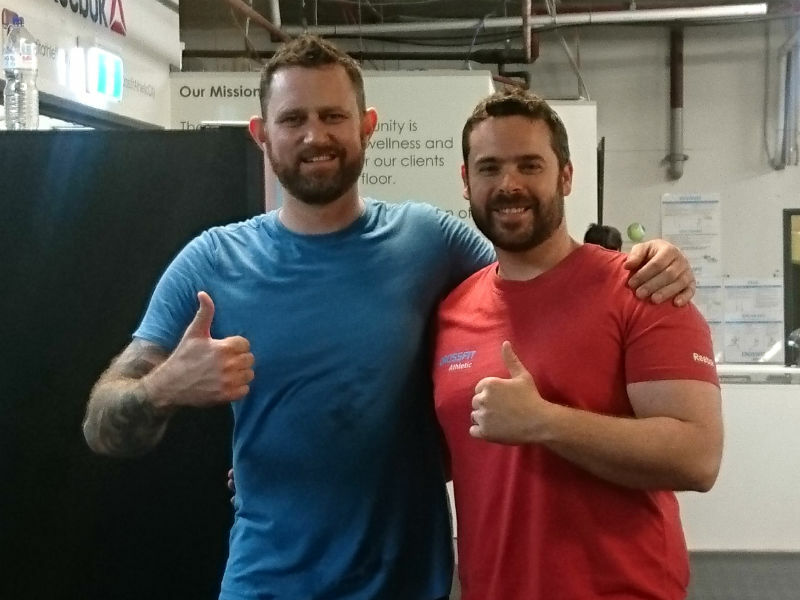 Well done to Jarrod – Fixing his Lower Back Pain and Improving his Strength in Squats. In 12 weeks we got him out of constant pain AND added 15kg to his 5RM on squats. “About 10 years ago I slipped my L5/S1 disc playing cricket causing months of pain. I saw all of the usual people to resolve this, chiropractor, physio, GP etc. and while my back got better it never returned to perfect. This was largely manageable day to day until, about 4 years ago, I decided to get in shape and starting lifting weights and being more active. My back continued to flare up from time to time and in May this year I slipped the disc again and my back went into spasm, causing pain to the point where I could basically not function at all. I saw a physio and a doctor and was unhappy with the treatment and advice as it was exactly what i had gotten before. So i decided to approach the problem from a different direction and started working with Brian. He taught me some basic movement patterns to stop me from hurting myself over and over again. He showed me the essential rehab exercises to get strong enough to support my spine and keep it from moving in the wrong directions. He re-engineered my technique to prevent my from hurting my back while squatting. With weeks my back started to feel better, with the first 3 months i had more and more time when it felt perfect! Even better than before i had re-injured the disc. Need Help With Lower Back Pain in Sydney? The Sydney Back Pain Program can help you.